One of the biggest mistakes new hamster owners make is to decide that their hamster needs company. It's true that hamsters love company, but they don't love the company of fellow rodents. 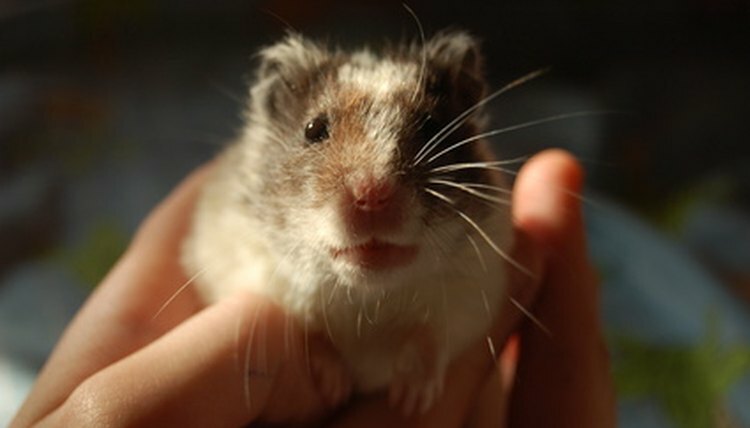 Your hamster will thrive on the attention you provide once he's properly socialized. Unlike gerbils and other rodents, hamsters should never be housed together. As a responsible owner, you need to know the risks involved and how you can keep your hamster happy with your own affection. Your hamster loves your company. A hamster bonds with one to two people and thrives on the attention he receives from them. Hamsters should be taken out regularly to prevent boredom and to also keep them tame. If you keep your hamster cooped up in a cage, he will be lonely and not have much of a life. If you want a pet who bonds with you completely, hamsters are a wonderful choice. In order to build a bond with your hamster, you need to begin by introducing your scent to the animal by holding your hand in the cage. Once your hamster becomes used to your scent, she will crawl into your hand and will eventually allow you to pick her up. Never make sudden movements when handling your hamster, as this can spook her and cause her to bite. You always want to be on the hamster's level when picking her up so that you don't seem like a predator. Once she's tame, handle your hamster every day to keep her socialized. By no means should you house more than one hamster in a cage. Hamsters do not like the companionship of other hamsters. Not only will they fight, but hamsters have been known to engage in cannibalism. For the safety of your hamster, keep him in his own cage. If you want more than one hamster, house them separately where they can't see each other. If you want a rodent who does well in pairs, you have several species to choose from. Gerbils, guinea pigs, mice and rats all do well in pairs and even prefer the companionship of their fellow species. In fact, mice even prefer the companionship of their fellow species over human interaction. The benefit to choosing hamsters is the bond you receive. The benefit of rodents that do well in pairs is that they always have a friend to play with and don't get bored. What Is the Most Dominant Bird?